The OPEC member’s socialist leader wants to restructure the ailing country’s foreign debt, putting an alleged drug trafficker in charge of working out how. U.S. sanctions make any refinancing virtually impossible. But even default might not drive the hapless president from power. Venezuela's President Nicolas Maduro talks to the media during a news conference at Miraflores Palace in Caracas, Venezuela October 17, 2017. 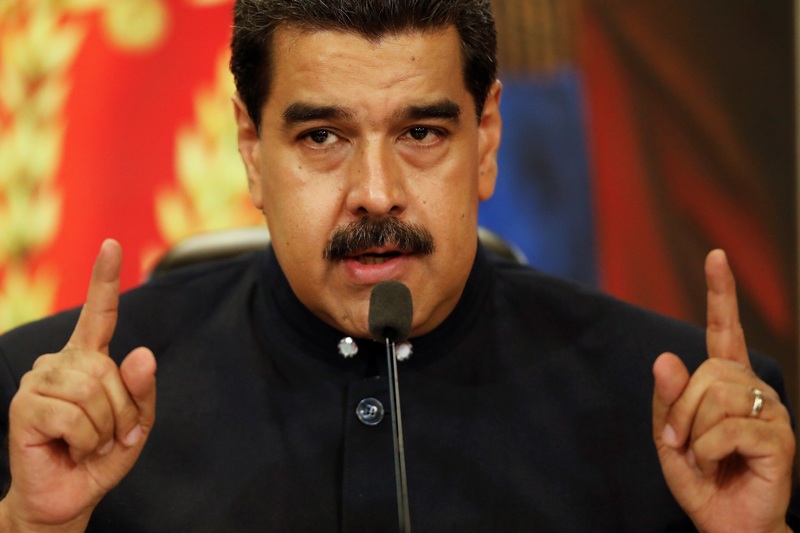 Venezuela's President Nicolas Maduro on Nov. 2 announced plans to restructure the country's foreign debt, but also said state oil company Petroleos de Venezuela would make a $1.1 billion payment on a bond maturing the same day. Maduro said he was creating a commission to study "restructuring of all future payments." Maduro said Vice President Tareck El Aissami would head the commission. El Aissami was blacklisted earlier this year by the U.S. Treasury Department on accusations he is involved in drug trafficking, which he denies. U.S. sanctions against Maduro's socialist government forbid U.S. banks from taking part in any restructuring. Venezuelan dollar-denominated Eurobonds dropped nearly 10 points in price on Nov. 3, with yields surging more than 8 percentage points.